For ages, specialists have been making a great living based almost solely on referrals from other doctors. 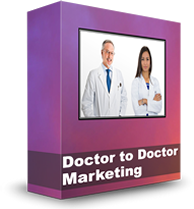 This video tutorial is all about how general practitioners can generate referrals from other medical practitioners… physicians, therapists, chiropractors, and even other dentists. It’s something that’s often overlooked, but can really help patients connect and feel comfortable with you. In this video tutorial, you’ll find sample communications you can adapt for your own practice.